Current owner say's his 2008 BASS CAT PUMA is in "Very Good Overall Condition" As received from the current owner; Has only been used in "FRESHWATER" Always serviced and maintained annually or as needed during the season Garage kept when not in use Stored inside during the off-season ***I have not inspected this vessel in person. Pictures and details have been provided by the owner, please do not hesitate to contact me with any specific questions, to submit an offer, or schedule a showing*** Stock #170907 MERCURY PROXS 250 HP..!! MOTORGUIDE 36V TROLLING MOTOR..!! (3) LOWRANCE UNITS..!! DETWILER 10" HYDRAULIC JACK PLATE..!! 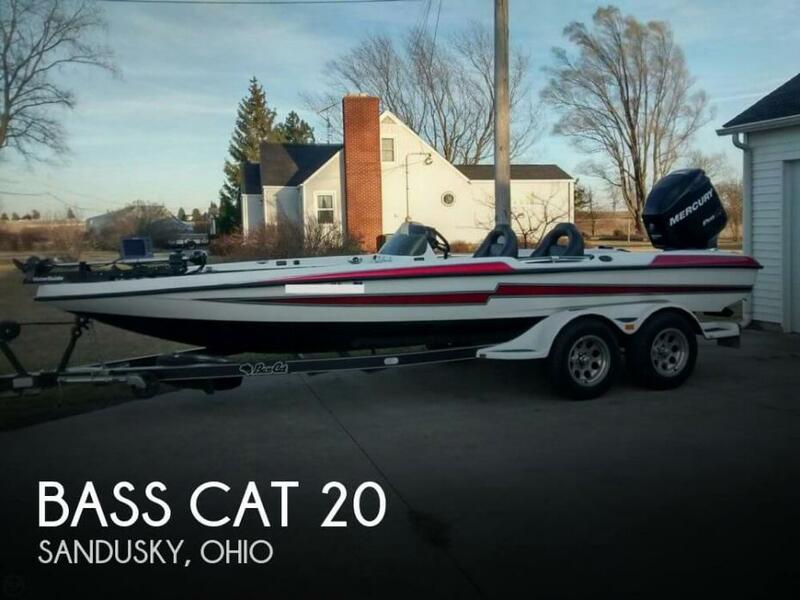 If you are in the market for a bass boat, look no further than this 2008 Bass Cat 20 Puma, just reduced to $26,900 (offers encouraged). This boat is located in Sandusky, Ohio and is in good condition. She is also equipped with a Mercury engine that has 440 hours. Reason for selling is sizing up.